The vaping world has exploded in recent years with sci-fi looking mods and incredible e-liquid flavors. Just starting out may seem a bit intimidating at first. But fear not, there are plenty of tips and tricks available that can make even a vaping novice seem like a pro. Sure, you may be able to get your favorite flavor cheaper from a Chinese manufacturer, but you also risk a poorer quality product that may contain impurities. Anything you’re putting into your body should be the highest quality—medical-grade nicotine (if that’s your thing) and food-grade flavorings and ingredients tested for purity. Citrus, cinnamon, essential oils, or other acidic flavors can weaken, fog, or crack a plastic tank. To enjoy these flavors safely, invest in a glass or pyrex tank and avoid the potential damage. Many e-liquids acquire a richer flavor after sitting for a few weeks in a dark room. Occasionally shaking them can help the flavors mix together better. One thing that distinguishes experienced vapers from the newbies is that regular vapers oftentimes have a preferred PG/VG ratio. High vegetable glycerin (VG) e-liquids produce thicker smoke and smooth hits, lower VG e-liquids have smaller clouds and richer flavor, also characterized by a “throat hit,” that former smokers prefer. 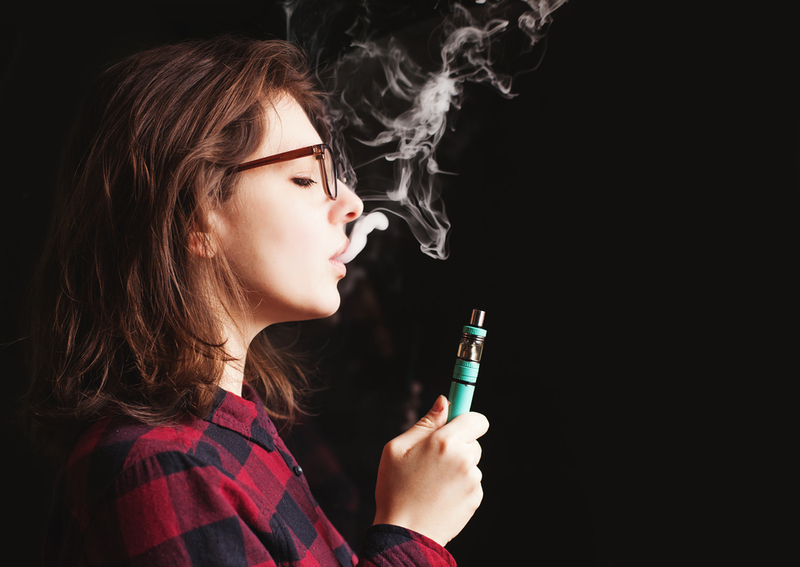 E-liquid can build up on the connections to your battery, inhibiting the function of your vape device. Regularly checking and cleaning those connections is a pro tip that even newbies can handle. In the same vein as regularly cleaning your battery connections, your e-liquid tank should also be regularly cleaned and emptied. This will prevent build-up, leaking, and bad flavor. Recommended once a week for casual vapers, more often for frequent vapers. New vapers will likely experience the unpleasant sensation of a harsh dry hit when changing coils or atomizer heads far more often than experienced vapers. To avoid this, saturate the wicks with the e-liquid before attaching the coil. If you like to vape on the go, it’s good practice to carry some extra batteries with you in case your current battery dies. Vapers’ tongue occurs when a vaper uses one flavor for an extended period of time, resulting in diminished taste. Rotate your flavors to avoid this. There is no shortage of e-liquid flavors to choose from, including Vapor Galleria’s Signature series of Ambrosia, Eros, Pomona, and Forbidden Fruit.